1. Phil Weeks feat. Ladybird, 2. Mountal, 3. Shur-I-Kan, 4. Mountal, 5. SKMK and more. 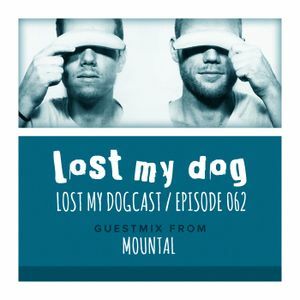 Mountal, from the Germany city of Köln (Cologne), join Strakes on the Lost My Dogcast in the run up to their debut release Last Cigarette, which showcases three tracks of their deep, infectious and every so slightly trippy take on House and a remix from long time LMD collaborator Giom. This episode contains music from Shur-I-Kan, Phil Weeks, A Lister, SKMK, Giom and Mountal. TRENDING DJ MIXES ON MIXCLOUD.